Green Ties For A Wedding - Look Great This Wedding Season. Green Ties For A Wedding – Look great this wedding season. Whether it’s your wedding or someone else, your attention to detail must be spot on, And if you’re looking for a green tie for a wedding you are in the right place. We stock some great luxury ties and in this article, we will run through some of the green ties that we stock and the colour combinations that we recommend when it comes to wearing them at a wedding. If you want to create a lasting impression then you can do so with your wedding attire. The best way to stand out in our opinion is with a strong tie. A strong tie makes your outfit anything but ordinary, that is why we stock a lot of Reef Knot Ties. Reef knot ties if you have never heard of them make luxury men’s silk ties which are known for making a statement. Here are some of the green ties that we stock that would be suitable for a wedding. 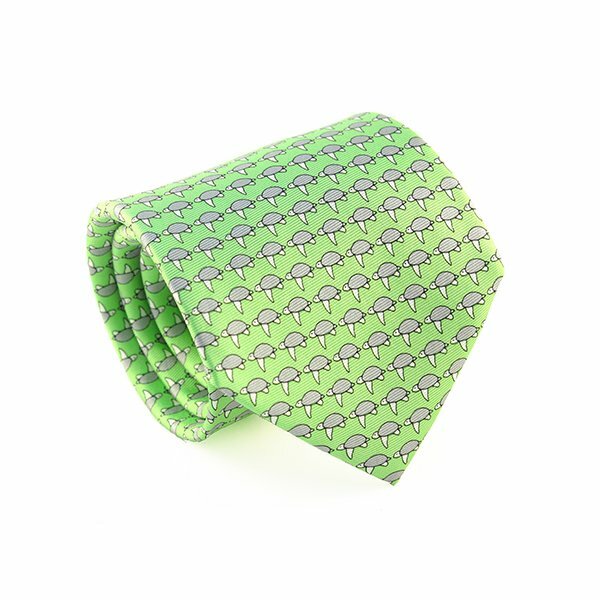 Reef Knots Men’s Fish Green Silk Tie – Your wedding tie? 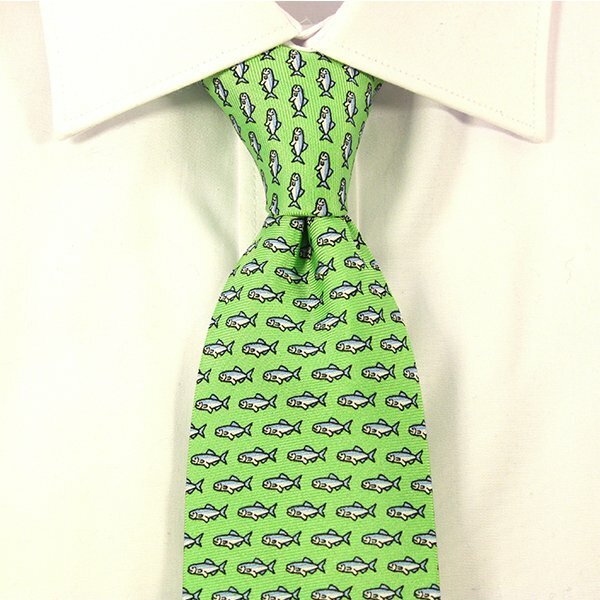 This green silk tie with little fish is unusual, to say the least, but is perfect for a wedding. It’s very fun, very different and very luxurious. To me, this tie screams confidence while it shows off the wearers personality. 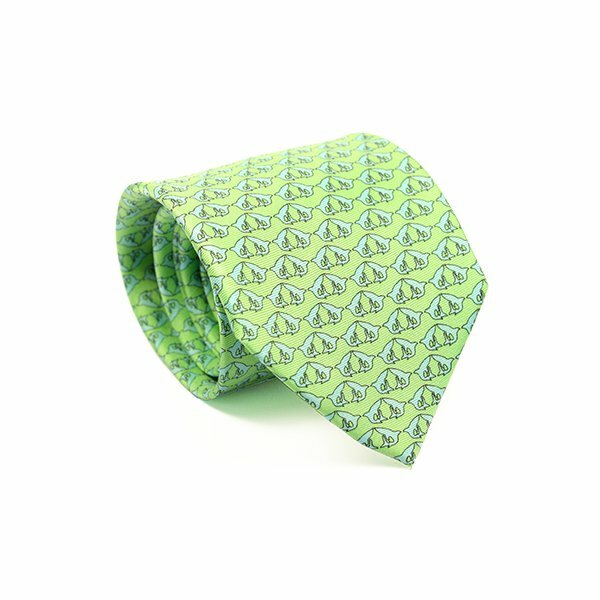 If you look close at this green tie you can see a shoal of herring printed on it, ideal for a man who loves fishing, surfing or the general outdoors. Being made by Reef Knots means that its made from 100% silk, it’s handmade in Italy and it’s of the finest quality. You can see this green tie here. The shark green silk tie is another green tie perfect for a wedding. Once again this tie is fun, it’s in green and has a more subtle pattern than the green fish silk tie above. I would say go with this one if you still want a fun green tie, but don’t want to stand out too much. The pattern doesn’t stand out as much as the fish tie until you get very close. From far away the tie looks textured and honestly looks amazing. If you want a green tie for a wedding but don’t want to be the center of attention then this could be a great tie for you. See the Men’s Reef Knots Shark Green Tie here. Out of all 3 ties i absolutely love this one the most. The colours are great, the pattern looks amazing and this is one of my go-to ties if I need a green tie for a wedding. Like all of the green ties mentioned this one comes with the Reef Knots signature gift box and free delivery. You can get this tie here. Hopefully, these three green ties are enough choice for you when it comes to picking a tie for a wedding, but if they are not you can see more of our luxury ties here: Mens Luxury Silk Ties.